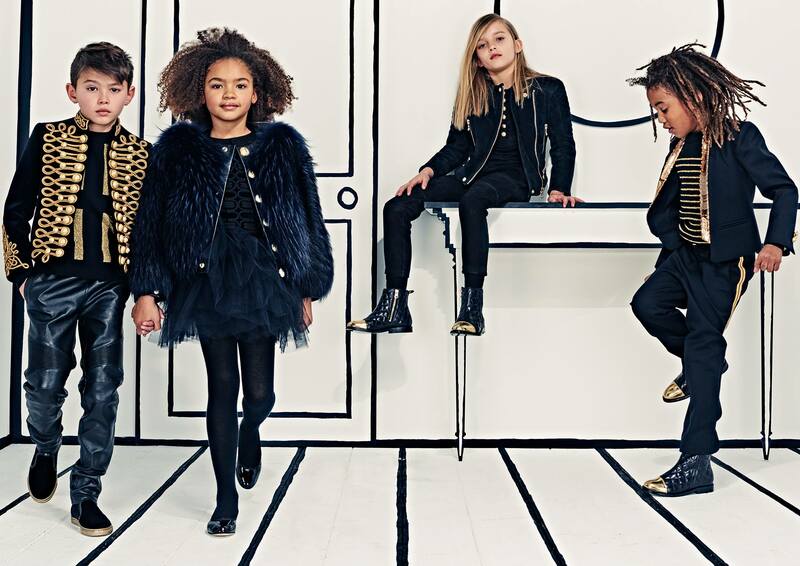 North West, Kim and Kanye’s daughter, has inspired Balmain creative director Olivier Rousteing to debut the brand’s children collection. Geared up to dress up boys and girls, aged 6 to 14, in their iconic stylish designs, the French fashion house guarantees that their mini-size collection will keep up with the same exacting standards and style of their adult collections. Balmain is all set to become a one-stop family shopping destination with the debuting collection as stylish mamas can dress to match their daughters and dapper daddys sport the same outfits as their sons.